A Petition has been started up by lovers of Irn Bru to keep their recipe intact despite growing pressure from the government. It will reduce the calorie count per can from just under 140 to about 66. AG Barr said the move was part of a "long-standing sugar reduction programme". The UK government plans to introduce a levy on sugary drinks in April 2018. Now a group of Irn Bru lovers are asking people to sign a petition to stop the plans. 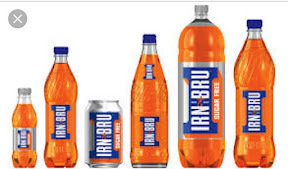 They wrote: "In the light of the recently implemented ridiculous sugar tax by the UK Government WE the undersigned demand that AG Barr drinks retain the ORIGINAL AND BEST recipe for regular Irn Bru. We ALL should be allowed to eat and drink what we like without being dictated or controlled, the UK Government should focus on investing in education at schools on sugary foods and drinks but we ALL should be allowed to make our own choice! Please sign and share your support for this petition and email Barr's at http://www.agbarr.co.uk/contact-us/general-enquiries/ Together we can stop the worlds best soft drink from being changed! Also Barr's already have TWO sugar free versions of Irn Bru, and I my opinion are disgusting. Don't destroy Scotland's National drink Barr's! Please also use the hashtag on Twitter and Facebook #SaveOurBru"